Just a quick Interlude (or should that be Interlead) before I continue with the blog posts about the Insights X 2016. 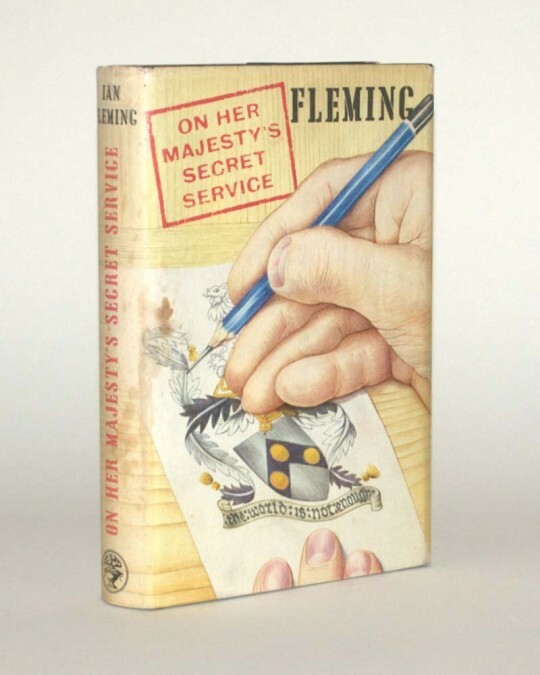 The first edition of the James Bond novel “On Her Majesty’s Secret Service” from 1963 features a hand sharpened Mars Lumograph. For comparison: here’s a similarly sharpened Mars Lumograph. The photo of the James Bond book has been taken from the article about James Bond First Editions from Raptis Rare Books. I believe that showing the picture of the book in this blog post falls under “fair dealing” as described by the UK Copyright service. Great! May I ask how you came across that edition? I saw it on TV. I first thought it’s a round Mars (the picture wasn’t very clear), like the Stenofix, but with a black end, but when I found the image on the web I realised it’s the normal hexagonal version.